Connie glances at Judd, seeing a frown appearing between his eyebrows as he stares down at his page of notes, writing furiously. He keeps looking at her, just like she keeps looking at him. She’s pretty and she knows it and that Judd keeps looking at her isn’t a surprise. She’s a typical Essex bird and she doesn’t try to hide it. But she has brains, something that most girls where she comes from seem to be lacking. The Essex boys love it though, love that she can talk to them about things other than make up and the latest gossip. But then they get bored after they realise that she’s actually smarter than them too. The boys all want her and they all chase her, even now, when she’s stopped trying to hide her brain and lets her intelligence show. They want her for a night or two, some want her forever. But they all make it too easy for her. She knows that all she needs to do is crook her finger or dial a number on her phone and the boy will come running. It’s fun, when she wants it to be but it’s still boring. She’s a smart girl and she likes a challenge, whether it’s in law or in men. She wants to do the chasing for a change, try to win a guy over when he doesn’t jump with interest straight away. It would be nice, she realises, to meet a guy who doesn’t go all puppy eyed as soon as he sees her. In New Town she’s met a man or two like that but the challenge quickly proved to be false and they gave in to her wiles too quickly, the pretence of not being interested just that, a mask, a lie. They all wanted her just as much as the Essex boys and they hide it about as well. But with Judd she has a challenge. He’s interested, clearly, but he’s not so interested that his brain leaks out of his ears and he turns in to an idiot around her. She likes that he shouted at her when she appeared at his window in the car park. Most men would take a look at her big blue eyes and instantly start apologising. But Judd barely gave her a second glance and instead laid in to her like no one had for years. It is a new experience for Connie and it’s surprising exactly how much she likes it. Now she just needs to get Judd to admit that he wants her. That was a challenge right there. Eventually the class ends and the sky outside the windows is getting a bit darker. Judd stretches and groans as his back clicks. Connie says a few more words, laying out the homework and telling them all to take a quiz sheet from the table at the front. She wants it returned by the next class so she can see how much they all absorbed. Judd stretches again when he stands up and tries to shake the feeling back in to his arse and legs. The seats just aren’t comfortable and he wonders how the kids manage it for hours every day. He’s in agony after just a couple of hours sat on it. Then again Judd is used to comfort now, and luxury. The plastic chairs with barely there cushions of the school are neither. The classroom quickly empties and Connie stands near the front, keeping an eye on the papers and clearing up everything else. Judd nods at her as he passes and takes a sheet. She smiles back, warm and welcoming. He doesn’t hang around though. He just walks straight out of the building. He doesn’t see Connie’s face fall with disappointment as his back goes out of the door. The area outside the school is full of students. Some are climbing on to bikes by the rack and heading off down the cycle paths to get home. Others are gathered in small huddles in the bus shelters, talking amongst themselves. One or two are getting in to their own cars, clunky and old or large and practical. He heads for his car and climbs in. The temperature outside is getting colder and colder and inside it is even colder. He flicks on the heater, letting the car get warm while he rearranges his backpack and shoves it in to the back seat. He glances through his windows and sees people looking at his car, taking in the fact that it is a flash car, a 4x4 Porsche Cayenne Turbo S that few people manage to afford, let alone drive to a college. He sees the other students talking and whispering to each other, talking amongst themselves. He sees some of the girls sending him speculative looks and the boys glaring at him with obvious jealousy. He smirks and shakes his head. He remembers then that his phone is turned off and quickly pulls it from his pocket and turns it on. Within seconds there is a beep and a name appears on screen. It’s Right Stuff and he’s sent a text to Judd. ‘Call me’ is all that the text says. It’s simple, no nonsense and yet so cryptic. Judd closes the text and frowns. He wonders why Right Stuff is texting him as he pulls out of the car park and starts to head home. Out of all the people that Right Stuff could text Judd had thought he would be last on the list. And yet there is is, a text on his phone, from a key employee of his rival. Right Stuff is the right hand man of one of Judd’s major business rivals in the area. They aren’t rivals in the truest sense, there’s an uneasy peace between them due to a truce that they called years ago. There are three of them in the Farlow market, 3 players who all deal drugs in different areas. Judd has 20% of the market, Sumners and Katherines Ward. He runs everything there. He knows what goes in and what goes out, he sets the prices and enforces the prices and makes sure that there are no other dealers in his area that are selling substandard substances and a cheaper price. He refuses to lose business because some idiot is out there selling coke cut with rat poison that puts his customers into hospital. His stuff is good, fairly priced and cut with harmless things that have no dangerous effects on his clients. He is trusted and respected and the go to man for any substance that’s a little less than legal. Obo has another 20% of the Farlow market. He runs Bush Fair and Stow Wards. Just like Judd his stuff is clean and cut fairly. They get their supplies from the same source, making things fair. The peace between Obo and Judd and Obo and Charlie, the third player, is the most uneasy. He doesn’t like their truce but he accepts it because there is no other choice. And it is Charlie that runs the rest of the Farlow market, all 60% of it. He is basically the lord of the Town Centre and the surrounding wards. Anything that isn’t in Judd or Obo’s territory is his. It was actually Charlie that suggested the truce between the dealers. There are of course other small time dealers, men-children that are barely old enough to buy booze who deal a little weed here and there to make money for a new gaming system. Some are trying to get to the same level as Judd, Charlie and Obo but lack the determination. Others still just see dealing as a way of looking cool to their mates and as a tool to attract women who otherwise wouldn’t be interested. Whatever their reasons are for dealing the three main players barely bat an eyelid at them. The small timers get left alone to play their own games while the three key dealers focus on doing the actual business. That isn’t to say that they are ignored completely, it wouldn’t do for a small time wannabe to get ideas above their station, but for the most part the two groups leave each other alone. Of course all three, Judd, Charlie and Obo, had started their dealing businesses that way. There had been mayhem and injuries on all three sides. But they have grown up now, matured and gotten some business sense in their heads. They have an agreement, a truce that helps all involved. They respect each others boundaries, staying only in their wards and leaving the others in theirs. It means that they can trade and deal without having to worry about an all out gang war. The gangs know the terms, from the smallest underling to the right hand men and the agreement is enforced with the strictest form of justice. Judd knows that if one of his guys goes in to Obo’s territory then the guy is fair game. If his guy comes back then Judd punishes him before handing him over to Obo to receive a punishment of his own devising. It had been hard at first but people learnt and now there was barely any need to enforce the rules, they are just obeyed without even thinking about it. That isn’t to say that Judd, Obo and Charlie are the best friends that there ever were. The peace is uneasy and there’s a little anger lingering on the part of some parties. But they accepted it because it makes sense. It’s easy money, hassle free and let’s them focus on just their area. They all wanted to make lots of money without any trouble and a gang war would give them trouble. So they leave each other alone and get to make money without making war. They all know that the dealing business is full of dangers and not having to worry about a rival dealer coming in and taking over helps them all in the long run. It works other ways as well. Charlie will help out if Judd or Obo need a hand protecting their patch. If the small time dealers try to start something then it’s easier for Judd and Obo to defend themselves and punish the wrongdoer if they’ve got extra reinforcements from their ‘rivals’. 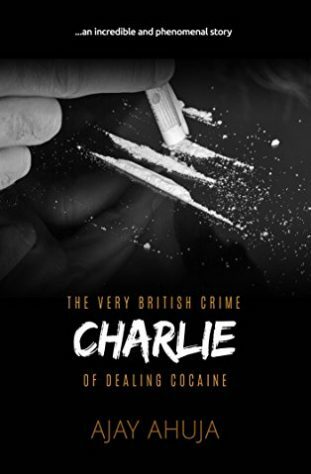 They all do it for each other and by working together for so many years, stopping any attempts at take overs, the small time dealers are learning that Judd, Obo and Charlie are to be left alone if they want to keep doing their own little bit of drug dealing. Charlie likes to help his rivals protect their patches but not because his heart is filled with love and kindness and deep down he’s a big soft philanthropist. He just likes knowing who his competition is. He likes knowing and understanding his rivals and he understands Obo and Judd alike. He doesn’t like the idea of some young upstart coming in and trying to turn the market on its head just for a few quick pounds. The kids don’t have a clue about the dealing business, they see it as some cool thing to do to get street cred, not an actual business. Charlie has seen too many young idiots get caught over the years because they haven’t thought things through or don’t see the bigger picture. He respects Judd and Obo, they’re both smart businessmen, just like he is and with them he knows what he’s getting. Together the three men manage to fix their prices too. Every 3 months or so they get together and lay out new prices for the different measurements. £60 for 1 gram, £100 for 2 grams and £140 for 3 grams at the moment. If there are orders for 4 grams or more, which are rare, then it’s up to the individual dealers to make their own deals there. It was all good business, fixing the prices. People keep coming to them, even if their prices are higher than those of the small time dealers out of loyalty. They know that their stock is good and the customer knows that they won’t end up in hospital or in the morgue. The small time dealers cut their stuff with anything that they can get their hands on, even if it’s poisonous and the regular clients know it. Judd, Obo and Charlie setting their prices together keeps them fair. They don’t compete with each other on price or quality because they’re all the same supplier and all the same price. If they were competing they’d just keep going lower and lower in price and no one would make any money. Fixing the price stops that from happening and it’s something that benefits them all. Judd is wondering why Right Stuff is messaging him. If Charlie needed Judd’s help he would get in touch with Judd directly. If Right Stuff needed the help of a dealing boss he would just go to his own boss, Charlie, so again, why is Right Stuff messaging Judd. He decides to ignore it and focuses on what else he has to do before he turns in for the night. Judd finds a place just off the Market Square and puts his rucksack in the boot before he walks towards the Square. Even this late in the day it’s still busy, full of people trying to get their Christmas shopping done early. He spots the market inspector sitting in his tent and heads over. Now that the pitch fee is paid for, Judd can focus on what he came to do, namely tallying up the day’s takings and passing on The Bod’s wages. He makes his way through the crowds until he comes to the stall that he’s owned for a few years now. The Bod is stood there, just like always, calling out to passersby and trying to tempt them in. Judd stops and watches him work, lurking by the side of another stall. Most just carry on walking, uninterested in old DVDs, games and CDs. One or two stop and browse through though. Some have little kids with them who are whining for new games. Judd smiles, seeing for himself that the stall actually does make some profit and has a purpose. What better way to reward the whining brats for ‘behaving’ themselves after a long day shopping than buying them a game or two on the cheap. When the people The Bod is serving walk away, their purchases in plain white bags, Judd walks over. Judd tunes the Bod’s words out as he makes sure everything is in order. The stall never really makes much, just enough to pay its own way and to pay the Bod’s wages. Bod gets to keep all the DVDs and stuff that don’t sell after a month or two but most of them time he just leaves them on the stall or puts them back once he’s got fed up of them. The man is a game and film addict and that is exactly what caught Judd’s eyes. Bod isn’t the type of guy cut out for dealing or any of the other illegal work that Judd’s business does but he’s a good guy, a simple guy and someone Judd trusts not to short change him. Judd pays him fairly, every week without fail and for two days’ work, just Monday and Thursday, The Bod makes more than he would on benefits. Besides, he has a skill for sniffing out bargains and loves to root through the car boot sales, with or without a need to get things for the stall. Judd sees it as a means to an end as well as a way to help out an old friend. The Bod looks at the paying in slip that Judd is filling out, ready to take to the bank. “Yeah but who else can find a bargain like me?” The Bod asks with a cheeky grin. He’s trying to relieve the sudden tension and Judd lets him. “Too much information mate,” Judd says with a groan. He walks away laughing though and he can hear The Bod’s laughing too. The stall makes nowhere near £1000 a week but the money from his other business has to go somewhere and he can’t just put it into his bank with no explanation. That’s how questions get asked and people get caught and Judd has seen it happen for himself. So every Monday and every Thursday Judd pays in £1000 on top of what the stall takes in after the stall fee and The Bod’s wages have been taken out. He can’t believe that the bank doesn’t ask anything but he doesn’t push it. As if an old DVD stall would make almost £10,000 a month if not more. But he’s safe and it’s a great way to deposit his money. Sometimes Judd wonders why no one thinks to check what an actual stall holder makes for a day’s trading. Then he thinks about what would happen if someone did and gets angry. He decides that it’s best not to think like that and instead focuses on making it to the bank and back to his car.